Question 2 What is atomic radius? 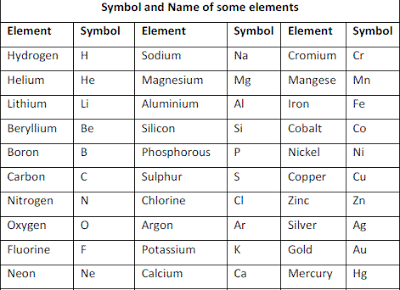 Question 3 What do you mean by symbol of an element? Question 4 Name the unit in which the radius of an atom is usually expressed? All the matter is made up of atoms. An atom is the smallest particle of an element that can take part in a chemical reaction. Atoms of most of the elements are very reactive and do not exist in free state but in combination with atoms of same elements or another element. The size of an atom is indicated by its ATOMIC RADIUS. Hydrogen atom is the smallest atom of all. Atoms are so small that we can not see them even under the most powerful optical microscope. A symbol is a thing which represents or stands for something else. J.J..BERZEIUS of sweden proposed that first letter or another letter of the name of an element be used as its symbol.